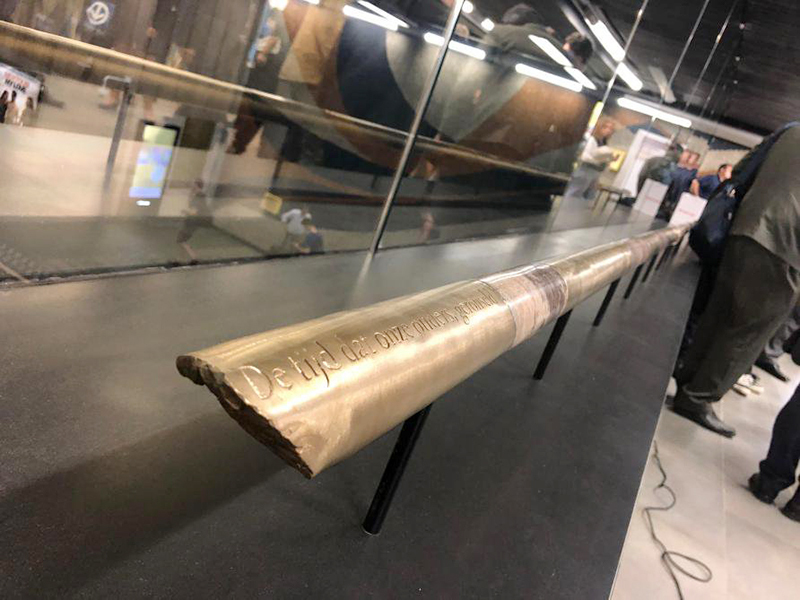 On 25 May 2018, one year after the inauguration of a work by the Brussels artist Adrien Lucca in Montréal’s underground, a new artwork has been installed in the Brussels underground. The Montréal-based artist Patrick Bernatchez created “SOL/GROND” especially for Trône station. SOL/GROND in Trône station in the Brussels underground. The Montréal-based artist Patrick Bernatchez presents his work. In 2016, the underground of Brussels and Montréal decided the time was right for a ground-breaking cultural exchange. A work by a Brussels artist would be installed in an underground station in Montréal while the work of a Montréal-based artist would travel to Brussels. That is how Adrien Lucca’s “Soleil de minuit” was inaugurated in the Place-d’Armes station of Montréal’s underground in May 2017. In May 2018, the Brussels underground was ready to unveil a work by a Montréal-based artist. The event was attended by the Brussels ministers of External Relations, Guy Vanhengel, for Mobility and Public Works, Pascal Smet, by Jean-Paul Gailly, the Director General of Brussels Mobility, Philippe Schnobb, the President of the Board of Directors of the Société de transport de Montréal (STM) and Michel Audet, the Delegate General of the Québec Government Office in Brussels. The work, which is called “SOL/GROND”, was installed in the Trône metro station in the centre of our capital. It evokes the cultural realities and human narratives that are part of our history and which converge in this space.SOL/GROND consists of unassuming interventions on the balustrades and a handrail in the station. They are inscribed with the testimonials of surviving refugees, immigrants and exiles including Martha Flaherty, of the Inukjuak community in Nunavik (Québec), who was relocated to the settlement of Grise Fiord and Resolute (High Arctic) in the Fifties and Pie Tshibanda, who is originally from Kasai, who grew up in Katanga and who currently lives in exile in Belgium. 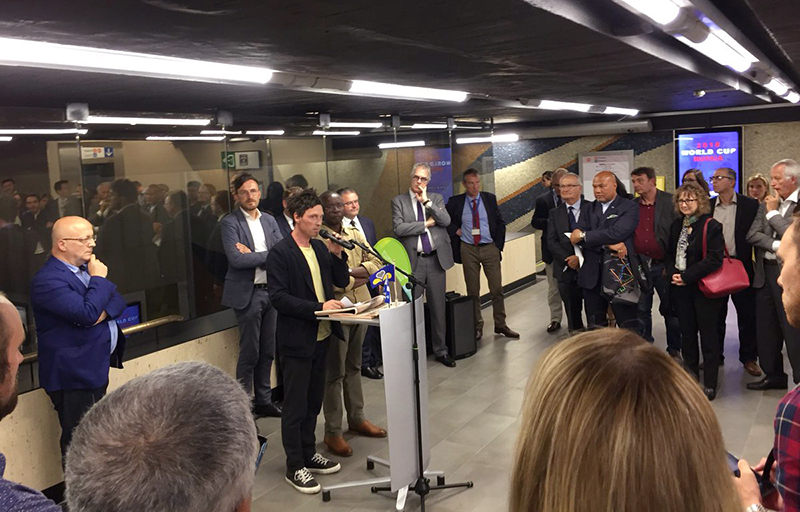 The unveiling of the work in Trône station marks the end of this artistic project, symbolising the stronger ties between Brussels and Montréal, as well as Belgium and Québec. 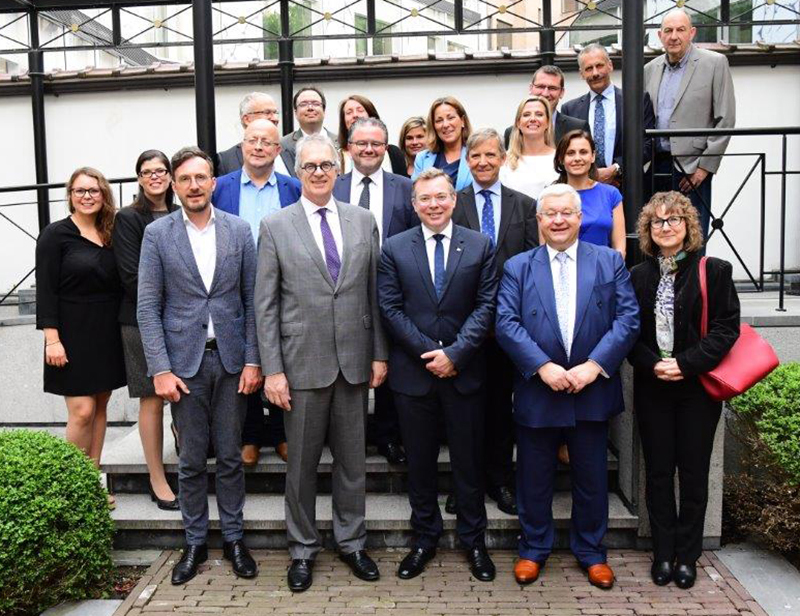 This exchange was also organised in the framework of the cooperation agreement, which was signed in 2002, by the Government of Québec and the Brussels-Capital Region.